As the Photon Energy works on assisting the Earth Plane raising its vibration, humanity is also in the process of letting go of deep buried energy. So many people are experiencing anger nowadays. It can be triggered by people, situation, event or anything. Anger is an emotional energy. Holding onto it can only invoke even more anger, create more hurt and damage to yourself and those who love you or whom you love the most. It is necessary to allow the anger coming to the surface to be released so that we can raise our consciousness and move into higher vibration. 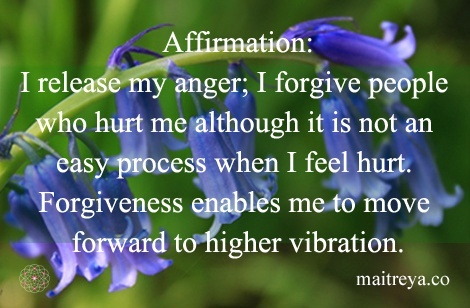 This affirmation for letting go of anger is designed to assist you to go through the healing process. You can repeat the affirmation as many times as you can. The more you say the affirmation, the more you can release the anger and change it positively.